The long-awaited start of the summer season is finally ahead of us. Prepare yourself because Saturday is reserved for the best entertainment in town with the hits of DJ Tom Staar. 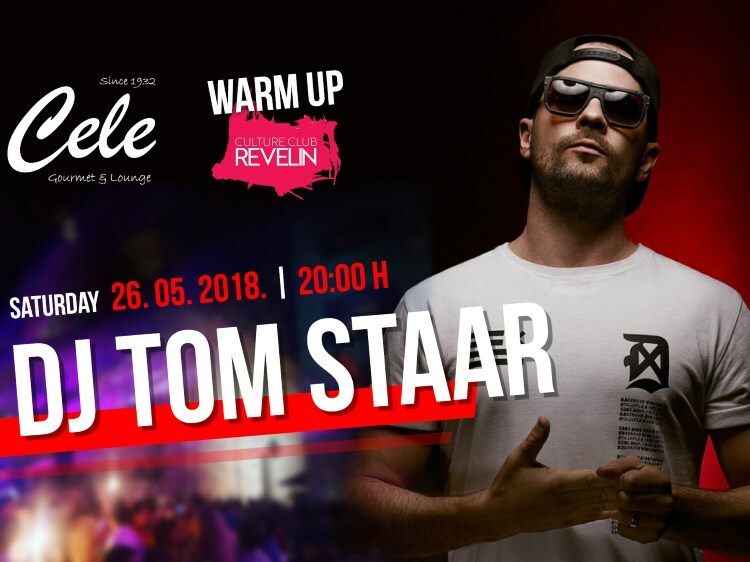 The renowned English DJ and producer, Tom Staar, returns to Revelin and opens the show season for great DJs. The singer of “Wide Awake”, “Totem” and many others, is in love with house electronic music. With its great sets, it always cares for the audience, so Saturday’s nightlife in Dubrovnik takes on a new summer atmosphere. Before the party in Revelin, make sure you booked the table at Cele Gourmet & Lounge. This place is ‘’IT’’ place on the main street Stradun, and it is a place for the best Warm-ups for Revelin!